How can such a light touch type of chiropractic (i.e. Network Spinal Analysis) help me? I hear this question frequently, “How can such a light touch do anything?” Typically after people receive one or two sessions they begin to experience just exactly how profound light touch Chiropractic is, but today I am going to demystify it for those who have never experienced it before. Now that may seem impossible to some but our body’s nervous system is actually wired for this degree of subtlety and communication. Think of a time when someone gently kissed your neck at just the right time and place and how that gentleness created a response throughout your entire body. At a neurobiological level that feeling creates a cascade of feel good neurochemicals (how your nervous system communicates) which promote health, enhance your body’s innate immune system, and produce feelings of overall well-being. 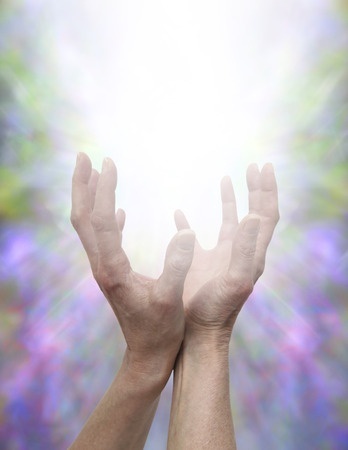 This is one of the ways that a light touch can create a global healing response throughout your entire body. These gentle touches also cue your brain (particularly the frontal part of your brain) to pay greater attention to your body. This is how healing becomes an inside out approach. What I mean by that is that parts of your brain begin to “wake up” and create connections to parts of your body. Sometimes these are parts of your body that hold tension or have pain, other times these are parts of your body that feel peaceful or experience bliss. Often times when something hurts (or yes also when it feels too good) we tend to try and protect, guard or avoid feeling it in order to decrease what we believe will feel like greater pain (or joy). What this effectively does is decrease the communication between that part of your body and your brain and you actually lose some of your internal resources for being able to heal and connect to that part of you. Sound good to you?! Let’s get started! I can’t wait to help facilitate you connecting to more of you and your self-healing and self-regulating abilities so that you feel more empowered in your health and your life! This entry was posted in alternative healthcare, boulder colorado, chiropractic, healthcare, network spinal analysis, somatorespiratory integration and tagged alchemy, amanda hessel, back pain, bodymind alchemy, boulder, chiropractic, chiropractor, colorado, dr amanda hessel, frontal lobe, light touch chiropractic, nervous system, network spinal analysis, somato-respiratory integration. Bookmark the permalink.